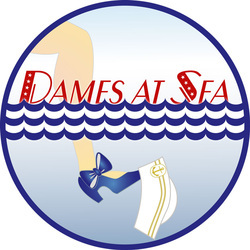 Dames at Sea is presented through special arrangement with Samuel French, Inc. New York City. New York salutes Hollywood in this spoof of the campy 1930s movie musicals. The curtain opens on a dress rehearsal of a Broadway show, where hard-boiled diva Mona Kent is practicing her opening act. Enter sweet Ruby, fresh off the bus with nothing but a pair of tap shoes in her suitcase, determined to make it big on Broadway. "A winner! A gem of a musical!" -- New York Times.